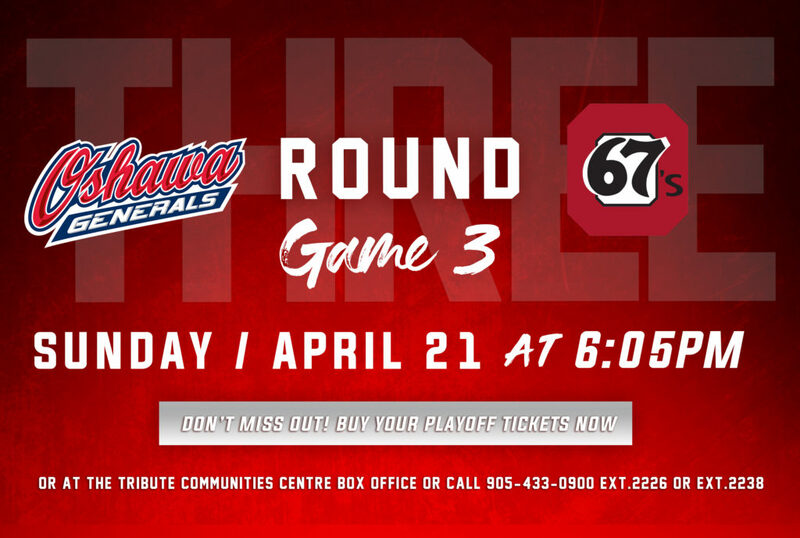 The Generals head back home tonight to take on the Niagara IceDogs in Game 6 of the second round. 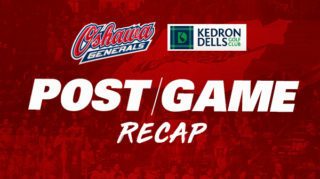 After giving up the first two games of the series in Niagara to fall down 2-0, the Gens have won three-straight contests to take a 3-2 series lead. 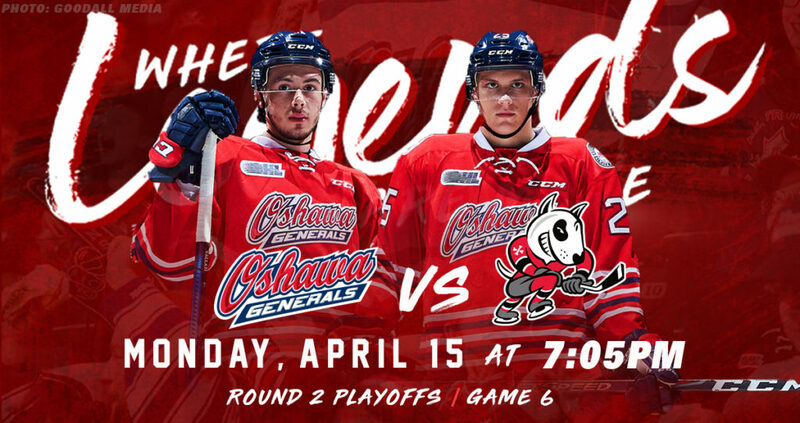 With the series win within reach tonight, the Gens will look to eliminate the IceDogs on home ice and claim a spot in the Conference Finals. 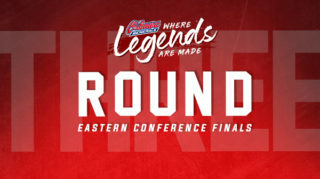 Coming into tonight’s game with three wins in a row, the Gens not only won both their home contests in Games 3 and 4, but also picked up a huge road win in Game 5 to take the series lead. The clutch 3-1 victory in Game 5 on Saturday continued their trend of solid play at both ends of the ice. 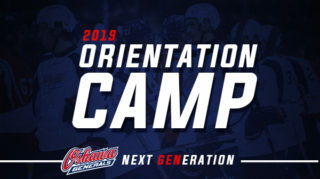 In the past three games, Oshawa has outscored Niagara 14-5 as their offensive and defensive efforts have both been strong. 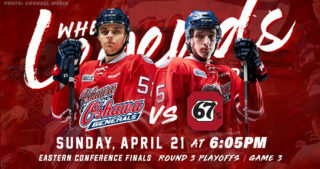 With the potential to win the series tonight, the Gens will look for that same two-way effort in Game 6. A big reason for their defensive success has been due to the play of Gens goaltender Kyle Keyser. 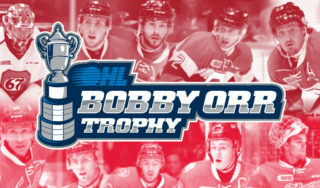 Holding an incredible goals-against average of 2.10 and a save percentage of 0.943 so far in the playoffs, Keyser continued his amazing play into Game 6 where he made 36 saves on 37 shots to earn him the OHL’s first star of the night. Look for Keyser to keep up the amazing play in the crease tonight as the Gens aim to hold off a desperate IceDogs team. A couple of Generals players who have had a strong stretch over the past few games include Serron Noel and Nando Eggenberger. Noel has notched an impressive 5 points over the last three contests, including a big 2-goal performance in Game 3. Eggenberger has also been able to find the back of the net as of late after scoring 3 goals in his last two games highlighted by his 2-goal outing in Game 4. With each forward putting up solid numbers, look for them both to enter tonight’s game looking to add more and help drive Oshawa’s offense. 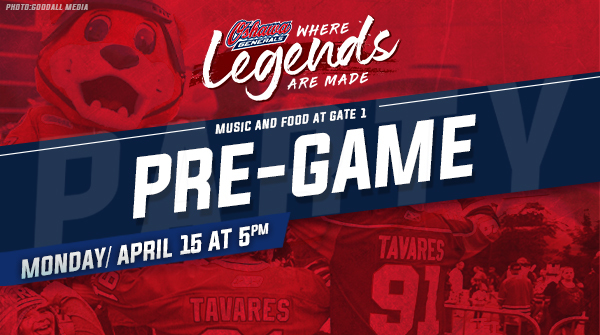 Head to the Tribute Communities Centre tonight for the 7:05pm puck drop to cheer on the Gens as they battle in Game 6 against the IceDogs! After tonight’s game, the team will either be off to the Conference Finals or head back to Niagara for Game 7 on Tuesday.